We love a good, old fashioned Easter celebration at Trulawn, as it means the whole family gets to spend time with each other (and not just an egg-cellent egg-scuse to crack out some egg puns and Easter-themed yolks). Whether you’re spending the whole weekend socialising or just one day, we have put together everything you’ll need for the best At Home Easter party! 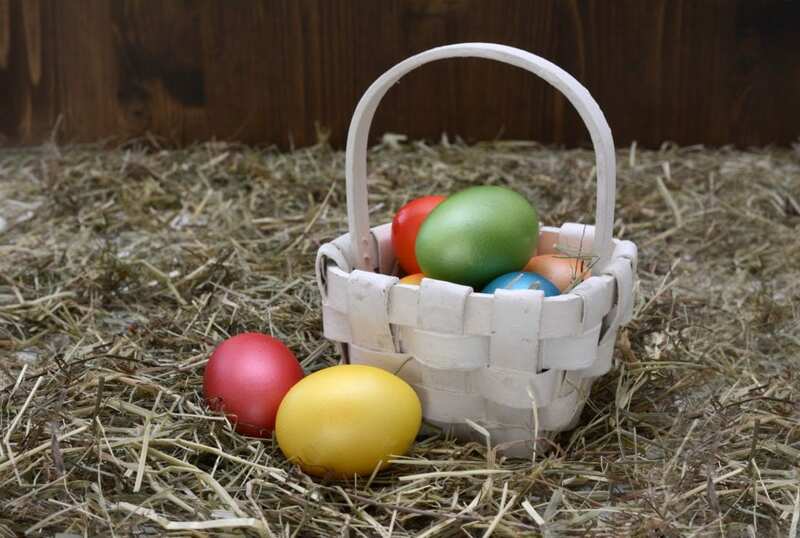 Although ‘Easter’ is technically a theme, you can narrow it down to become even more specific and base your games, food and decorations around this theme. You can ask your guests to dress up as this theme or wear an accessory related to it. Popular themes include the Easter Bunny, Chicken and Egg or bright flowers to bring the spring feeling! If you own an artificial grass lawn, all of our party suggestions are perfectly suitable. If there are food or drink spillages, simply wash the mess away with warm, soapy water to keep it clean and make the most out of our durable, low maintenance Trulawn lawns. When hiding your eggs, keep in mind both tall and small hunters. Try not to place eggs too high up or out of reach for the younger players. Trip hazards and loose material surroundings also need to be accounted for. If you own pets, or know that pets are attending the Easter party, chocolate needs to be kept out of reach to prevent them from eating them. Alternatively, plastic eggs are a great alternative to protect your pooches from eating things they shouldn’t. Plastic eggs are great for setting out a ‘treasure hunt’. Place clues or riddles in each egg to let the children think about where the next egg would be. Children aren’t the only ones who can join in with the Easter games. Both kids and adults can get involved with a variety of fun games and activities with some of our cracking suggestions. It wouldn’t be Easter without an Easter Egg hunt, would it? Whether your garden is large or small, there’s always different places to hide these eggs. From flowerbeds, plant pots, chair cushions and tree branches. Get creative and try to catch the kids out! There is more to an egg hunt than just hiding your eggs. 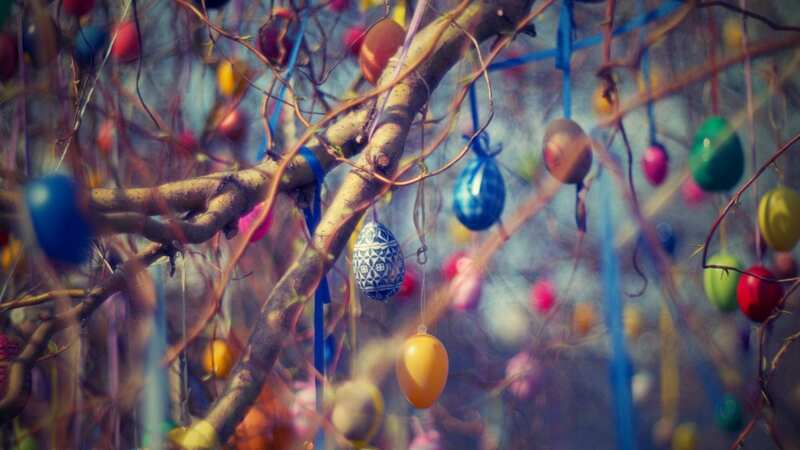 We have put together some top tips to consider when organising your Epic Home Easter Egg Hunt! A classic game played at many school events and summer fayres. Place yourself inside a large sack and hop the fastest to the finish line. Decorate the bags with a puffy rabbit tail and put on some ears to become the fastest Easter bunny. Who is the quickest chick to transport their egg? Find out in the classic Egg and Spoon race. Make it difficult by using teaspoons or blindfolding your contestants! Create and decorate your own Easter bunny out of cardboard, leaving a large hole for the mouth and get your guests to throw bean bags into the mouth. Alternatively, create the same with a chick and throw your plastic eggs into the mouth! There’s more than the chocolate! Get hands on and create your own themed snacks that are simple to make yourself and forget the store-bought chocolate eggs and hot cross buns. As a fun staple treat for Easter, this is one that the children can get involved with. Mix together warm marshmallow and rice Krispy cereal till the cereal is fully coated. Mould the mixture into a ‘nest’ shape and leave to cool. Fill your nests with your choice or treats, although mini eggs are the ideal, Easter themed option! This recipe can also be made with chocolate rather than marshmallow. If you want to WOW your guests this Easter, a classic carrot cake is a dessert choice that most of us can ‘hop’ on board with. 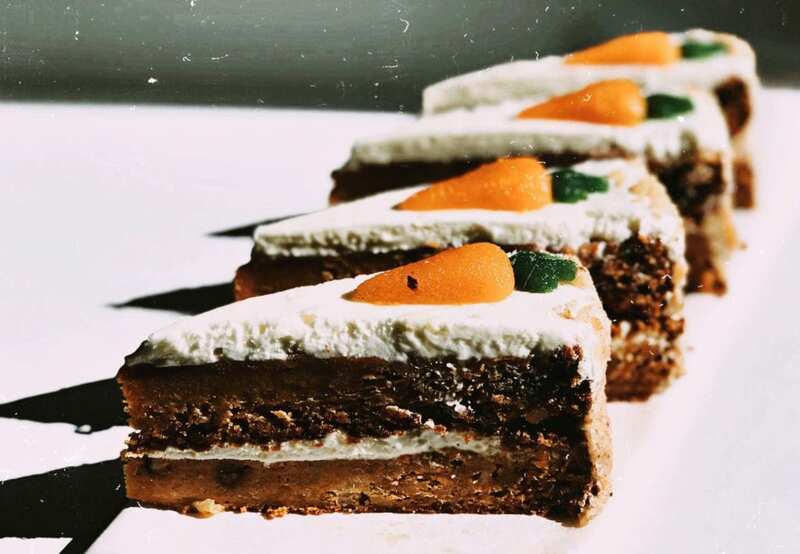 With a touch of Cinnamon, Walnuts and of course, Carrots, this recipe from Inspired Taste will help you bake a simple classic Carrot Cake! If you’re looking for a healthier option of Carrot Cake, a lightened Carrot Cake recipe made from scratch uses more natural ingredients with the same tasty outcome. Devilled eggs are a simple, savoury snack which is perfect for a casual Easter get together. Hard-boil a few eggs and once cooled, cut lengthways and remove the yolks into a medium sized bowl and place the whites to the side. Mash the yolks down and stir in Mayonnaise, Dijon Mustard and Salt and Pepper, and spoon the mixture into the egg whites. Decorate with Paprika if desired. If you want to try devilled egg chicks, follow this simple recipe from Natasha’s Kitchen! As a healthy snack that kids can also enjoy, baby carrots in a small pot of hummus can let the children imagine they are the Easter bunny. Encourage them to eat their pots by supplying simple bunny ears with the pots. We hope you all have a fantastic start to Spring with our egg-citing At Home Easter Party suggestions!